Triumphant 2018 Ryder Cup captain Thomas Bjorn makes an appearance in Oman. With the field now confirmed and the second edition of the Oman Open only two weeks away, this year’s tournament will boast a star-studded line-up full of Ryder Cup stars, multiple European Tour winners and a Major champion. The Sultanate’s biggest ever professional sports event returns to Al Mouj Golf in Muscat from February 28 to March 3. Six-time European Tour winner and defending Oman Open champion Joost Luiten headlines the event with the Dutchman targeting another solid performance in the capital after coming out on top of an enthralling final-round battle with close friend Chris Wood to seal the inaugural tournament last year. “I was surprised by how good Al Mouj Golf was,” said Luiten. “It was my first time playing in Oman and I didn’t know what to expect but I just fell in love with the course. 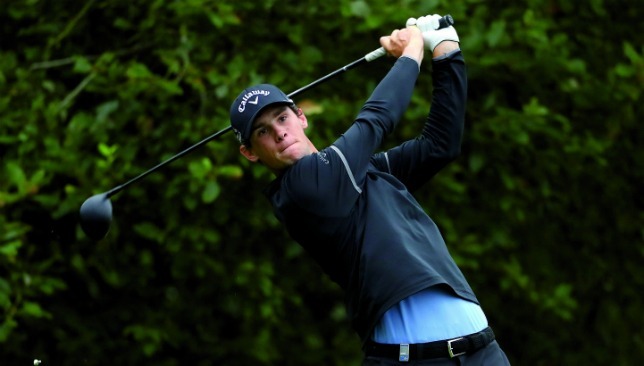 Thomas Pieters is just one of the stars in action. 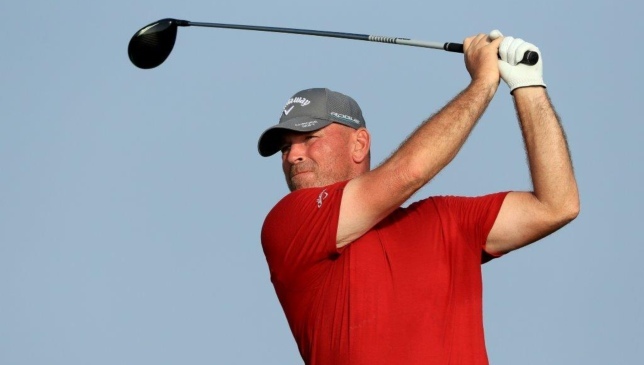 Luiten will be joined by two-time Ryder Cup star and 1999 Open Championship winner Paul Lawrie, who is looking forward to making his season debut at the 2019 Oman Open and returning to action on the European Tour after sitting out most of last year with a foot injury which eventually required surgery. “I might not be 100 per cent tournament sharp for my first week back after such a long spell on the sidelines, but I’ve got to start playing somewhere and what better place than Oman, where the course and climate are excellent,” said the Scot, who underwent a procedure to repair a ruptured tendon and torn ligaments last September. European Tour stalwarts Robert Karlsson, Thongchai Jaidee, David Howell and 2018 winning Ryder Cup Captain Thomas Bjorn, who have 39 wins between them on Tour, will be going head-to-head with the next generation of superstars, which include 2018 Rookie of the Year Shubhankar Sharma, Belgium’s Thomas Pieters, French duo Alex Levy and Roman Wattell, English pair Tom Lewis and Jordan Smith and South African Brandon Stone, all of whom have at least one win under their belt on Tour. “The field that played last year tell me it’s an amazing golf course and the best that was on the schedule,” said five-time European Tour winner Howell. Joining the elite field will be Dubai resident Max Burrow, who sealed his place with a 10&8 triumph over Mikkel Mathiesen in the final of the 2019 OHI Oman Amateur Open at Ghala Golf Club. 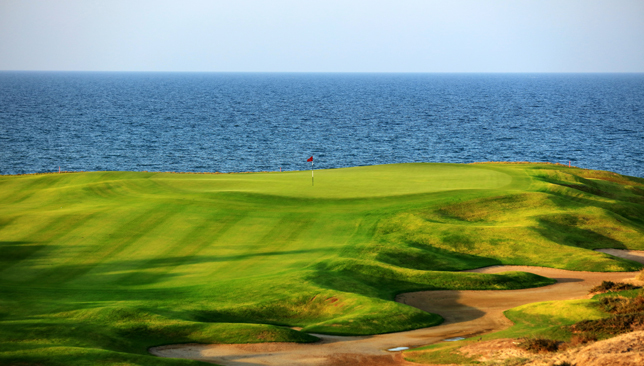 Al Mouj Golf is the venue for the Oman Open. This will be the first time the Englishman has featured in a European Tour event having previously competed with the stars of tomorrow in the Challenge Tour’s Ras Al Khaimah 2017 Golf Challenge. “This Amateur Open was arguably one of the biggest events of my season and having missed out in the play-off last year I was keen to come back,” said a delighted Burrow. Other notable names competing include two-time Omega Dubai Desert Classic champion Stephen Gallacher, previous Ryder Cup players Wood, Edoardo Molinari and Victor Dubuisson as well as history-making Oliver Fisher, who became the first man to shoot 59 in a European Tour event last season at the Portugal Masters. 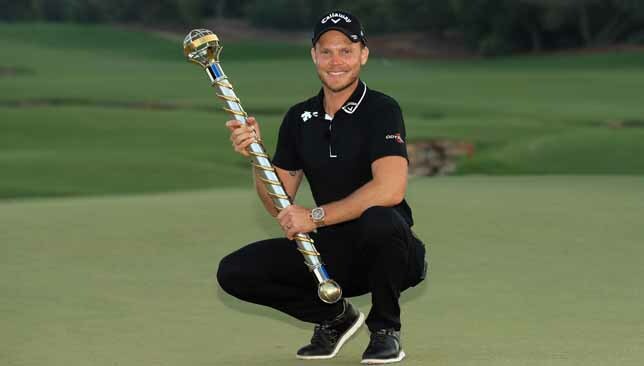 The season-ending DP World Tour Championship is to become the richest prize in world golf after the European Tour announced that the winner will now pocket $3 million, an increase of 125 per cent from the $1.33 million won by Danny Willett in November. The creation of the largest first prize in the history of golf was one of several changes announced including an amendment to the US$5million Race to Dubai Bonus Pool, which will now be divided amongst the top five players in the Race to Dubai instead of the top ten, with the 2019 winner claiming $2 million, up from the $1.25 million claimed by Francesco Molinari last year. The changes mean the tantalizing prospect of one player potentially walking away from Jumeirah Golf Estates US$5 million richer if they win both the DP World Tour Championship and the Race to Dubai. The winner of the Turkish Airlines Open will now go home with $2 million (up from the $1.16 million won by Justin Rose in 2018); while the champion at the Nedbank Golf Challenge will receive a cheque to the tune of $2.5 million (up from the $1.25 million won by Lee Westwood in 2018). The field sizes for the final three events of the season have also been revised, with the top 70 on the Race to Dubai qualifying for Turkey, the top 60 progressing to South Africa and the leading 50 competing in Dubai. European Tour chief executive Keith Pelley will hope such changes can attract some of the game’s biggest stars, with Rory McIlroy having only committed to play two regular events in 2019 to date. “We have undertaken significant analysis recently and have found that, had these additional Race to Dubai points been available over the past five years, on average between five and 16 players would have come to our final event with a chance of winning the Race to Dubai, in addition to an average of 43 players having the chance to earn Bonus Pool money at the end of the season; both numbers considerably higher than was actually the case in those years. Matt Baldwin won by a record margin of eight shots at Ayla Golf Club. 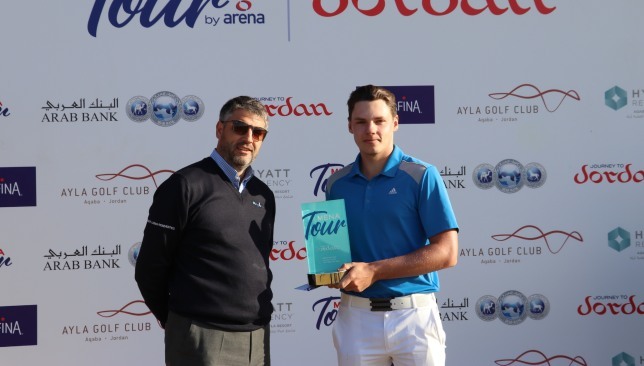 Matthew Baldwin cruised to a wire-to-wire victory in the Journey To Jordan-1, the opening event of 2019 season of the MENA Tour by Arena, winning by a record margin of eight shots at Ayla Golf Club. The 32-year-old from Southport left the field in his wake with his second successive round of six-under par 66 to tally a 19-under par 197 for three days. Sweden’s Erik Jonasson matched Baldwin’s 66 in the final round but that could only take him to 11-under par. The consolation prize for him was a spot in the Challenge de Espana, an event on the European Challenge Tour in first week of May. Scotland’s Conor O’Neil (70) and Belgium’s Christopher Mivis (70) were tied for third place at 10-under. 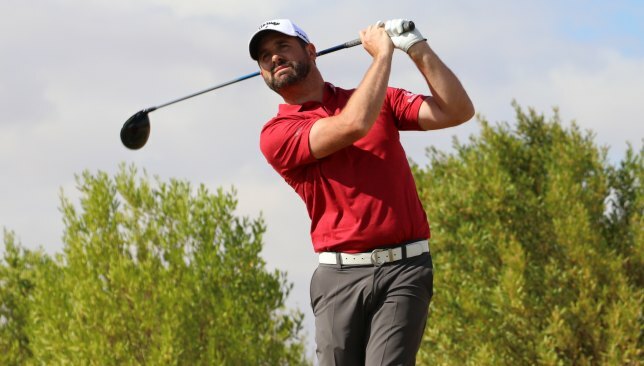 England’s Curtis Knipes (71) capped off a fantastic two weeks in Jordan by finishing as the Leading amateur, a week after he secured a full card through the Qualifying School. Jack Floydd struggled on the final day and slipped down with a four-over 76 to finish second, three shots behind Knipes. Dubai-based 14-year-old Josh Hill finished third among amateurs with an even-par round for a two-under par total, while good friend Arjun Gupta, another 14-year-old from Dubai, shot a bogey-free six-under par 66, matching the best round of the day. Curtis Knipes was the leading amateur in Jordan. The previous record for the largest margin of victory in a 54-hole tournament on the MENA Tour was by Frenchman Lionel Weber, who won the 2017 Mountain Creek Open by seven shots. Baldwin’s dominance broke that record by one. Winner of the B Stage of the Qualifying School earlier this week at the same golf course, Baldwin was simply unstoppable on the front nine, even though he made just four birdies in his first 10 holes. He missed at least another couple of chances from less than six feet. With no-one in the field making a charge, he could afford to take it easy on the back nine, but after a slight wobble that saw him make a fighting par on the 11th hole from the left waste area and a bogey from the bunker on the par-3 12th, he rolled in three more birdies coming in. “It’s been a great three days here. It’s nice to be able to play golf with a clear head. Last year was a bit of a struggle and I took a long break of two months and did not touch my clubs. So, it was good to come out and play the kind of golf I think I can play,” said Baldwin. Jonasson never had a chance to catch up, but he was delighted with his runners-up finish, having turned professional only late last year. The 54-hole Journey To Jordan-1 featured 117 players battling it out for a total prize purse of US$100,000, the largest in the history of the Tour since its inception in 2011. Ayla Golf Club is the first championship-size green golf course in Jordan and opened to public play in September 2016. The club will host three events on the 2019 season’s Journey to Jordan, including the season-ending Tour Championship.